When it speaks about the word "adoption" responsibility coincides. If a person or a family adopts a pet they will see to it that they can cope up with the needs of the animals. So before going deep with the adoption process, they are engaged to some sort of counseling on how they treat their pets. One of its common examples is the golden retriever puppies adoption. This breed is noted to be a family dog. Although it is commonly used as hunting dogs, its cuddliness can't be denied by anyone who wanted to adopt a pet. If you try to search for golden retriever puppies, you have to consult first with your local animal shelters or rescue groups. You can also try the online browsing to avail more adoption services As you adopt a puppy, you have to bear in mind that it requires a lot of time, effort and love. You have to be prepared with great responsibility. However, your efforts will be paid as you see them energetic and lovable. Goldens are easy trained dogs and friendly. All you need is to be patient during the training process. People who would engage in golden retriever puppies adoption should know some information regarding this stuff. As you start, the first thing that you have to prioritize is when and where to drain the bladder of your puppy. Their bowel movement is not totally developed. You have to spend some time walking after meals with your puppy. In the first approach, the puppy won't follow right away, so you have to train them step by step. Even so, golden retrievers are fast learners so there's no problem with training them. You must provide toys for your puppy to keep them busy. In order to avoid them scratching your things around the house. There are suggestions that you should spend at least 15-20 minutes of training every day. It is like training up a child with the things that he or she needs to know. You have to impose discipline on your pet. Set limitations for them. For example, is to control the amount of food that they eat. Goldens are prone to obesity, so you have to do something about it. If you adopted a puppy, you have to teach your kids to love them because your pet is now a part of your family. Remember that golden retriever puppies adoption is a serious matter, so if you think that you are a busy person, don't bother to have one, but if you really wanted to adopt, you can hire someone to take care of your pet. There are some pet shops that offer different types of services for your dogs. Just imagine having their company for around 15 years, what a long year of enjoyment with your pet. As you train them, you can grab the chance of joining some dog shows. This activity is very helpful to your golden retriever. You can enhance their ability and intelligence. You won't regret having them around. But the sad thing about golden retrievers is that they are easily tamed by a stranger, that's why they are not as good as watchdogs. On the other hand, they can perform well as rescue dogs. 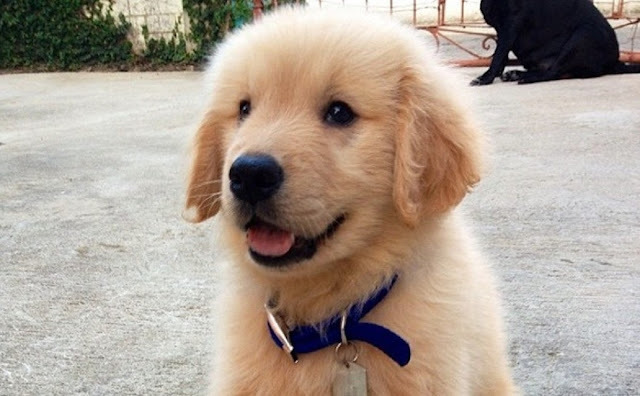 Golden retriever puppies adoption is a wise idea of embracing a new member of your family. So try to visit online services now. As long as you are open with the responsibilities in adopting one.